View the autism behavior checklist. An autism screening questionnaire is a primary step in determining whether further evaluation for autism or related developmental disorders is necessary. The process typically involves input from parents and other caretakers. Later, evaluation with a developmental specialist is necessary to determine if a developmental delay is present. The questionnaire requires input from the child's parents or primary caretakers. Different formats are used, each with a set of specific questions that explore different facets of the child's development. 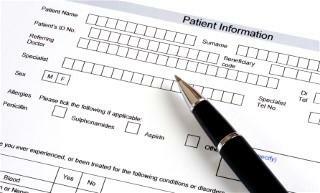 A typical autism screening questionnaire includes parent-administered tests. The formal screening tools are designed to determine whether further evaluation is necessary or not. The test usually involves simple yes-or-no questions that, when looked at as a whole, offer a cutoff point where further assessment is necessary. The test is appropriate for young children aged 4 through 60 months of age. Test I is appropriate for children aged 18 months through 3 years. PDD Screening Test II is similar to Test I in that parents complete the questionnaire independently, for their children aged 12 to 18 months. Test II differs in that it has sections for developmental clinicians to answer for babies from birth through 18 months. In addition, the test has a clinic screening section to measure the severity of autism in babies from newborns to 18 months of age. The Parents' Evaluation of Developmental Status (PEDS) is a test developed for parents to complete pertaining to their children less than eight years of age. This very basic screening tool contains 10 questions that are simple to answer. The test is typically followed by examinations that are more thorough. The Social Communication Questionnaire consists of 40 questions that focus on communication, language development, and social skills. The screening test can be helpful in identifying the symptoms of pervasive developmental disorders and it is a reliable tool for determining whether further evaluation is necessary or not. It is important to note that this test is not effective in distinguishing a specific pervasive developmental disorder like Rett's syndrome or childhood disintegrative disorder. The Child Development Inventories contain three tests that parents complete independently. Does the baby turn her head when her name is called? Becomes upset when you leave? Notice when you enter the room? Later, the questions begin to include interactions that are more complex. After the initial autism-screening process is complete, evaluation continues. Parents can expect to have any of the following evaluations after it is deemed necessary after taking an autism screening questionnaire. After further evaluation, an audiologist may examine the child for possible hearing problems. Once hearing problems are ruled out, an examination by a developmental specialist determines whether a diagnosis is appropriate or not.